This enduring Scotch whisky is best known today for its associations to polar explorer Sir Ernest Shackleton. Mackinlay’s has been bottled in numerous guises over the last two centuries, with blended Scotch, vatted malt and single malt all bottled under the brand. By the early 1980s the brand was the 11th best-selling Scotch in the UK, led by Mackinlay’s Legacy, which was bottled at 12, 17 and 21 years of age, and The Original Mackinlay. 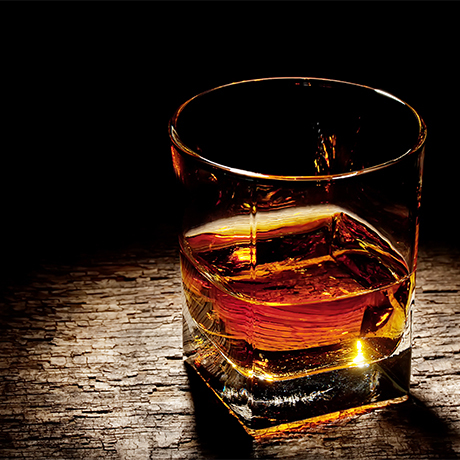 At the time, The Original contained ‘no less that 34% malt’, the majority of which was from Speyside. 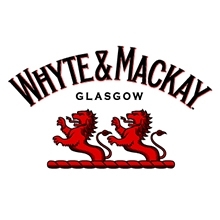 Although the name has changed to Mackinlay’s Original, the same recipe is still adhered to today by Whyte & Mackay’s master blender Richard Paterson. The current version is a vatting of malt and grain whiskies aged for at least five years and bottled at 40% abv. The brand is most famous for being the whisky of choice of Sir Ernest Shackleton to accompany his 1907 expedition to the South Pole. The 25 cases of Mackinlay’s Rare Old Highland Malt were made to order at a specific 47.3% abv strong enough to withstand freezing temperatures. In 2007 several bottles of Mackinlay’s Rare Old Highland Malt were found at Shackleton’s Antarctic base camp, and analysis found the whisky had been matured in American oak Sherry casks, and produced using Orkney peat in the malting process. The liquid was recreated for two limited edition releases –The Discovery and The Journey – both of which contained malts from Glen Mhor and Dalmore among others. For over 140 years Charles Mackinlay & Company remained a family firm, with five generations involved in the business of blending and distilling. Established in 1815 as a wine merchant in Leith, Charles Mackinlay first became agent for Macfarlane’s whisky and then introduced his own proprietary brands, the first of which was Mackinlay’s Vatted Old Ben Vorlich. In 1892 Mackinlays was involved in building Glen Mhor distillery in Inverness, after which it adopted ‘Leith & Inverness’ on its labelling. Charles Mackinlay & Co’s family ownership eventually ended in 1961, when the company was sold to Scottish Newcastle Breweries Ltd and subsequently became part of Waverley Vintners Ltd. The company was later picked up by Invergordon Distillers and is now part of Whyte & Mackay. Mackinlay’s most enduring tale is most certainly one of adventure and perseverance. In 1907 polar explorer Sir Ernest Shackleton took 25 cases of Mackinlay’s Rare Old Highland Malt (a single malt from Glen Mhor), along with 18 further cases of brandy and port, on the Nimrod expedition to the South Pole. The journey was later abandoned – Shackleton was within 97 miles of reaching the South Pole when he took the decision to turn back, saving the lives of his men. Around 100 years later, three Mackinlay’s crates containing 11 intact bottles were discovered by the New Zealand Antarctic Heritage Trust, frozen in the ice underneath Shackleton’s base camp at Cape Royds. In 2011, Whyte & Mackay master blender Richard Paterson secured three of the bottles for analysis, which lead to the recreation of the original whisky as a blended malt. A second recreation followed in 2013 to mark the Epic Expedition, the first genuine recreation of Shackleton’s 1914-17 Trans-Antarctic Expedition. 1985 Invergordon Distillers take over Charles Mackinlay & Co.
Whyte & Mackay's Highlands distillery. Cult malt from the island of Jura.